Numerous surveys have shown that Millennials are less confident than older generations when it comes to retirement preparedness and general financial security. One of the main factors likely behind this lower overall level of optimism is student loan debt. For example, a Charles Schwab survey found that more than one in three (37 percent) Millennials with student loans believe that their related debt payments are preventing them from consistently saving as much money as they would like to for retirement. Similarly, a report from the Plan Sponsor Council of America (PSCA) found that 34.9 percent of surveyed employers said that at least a “moderate degree” of their workers believe that student loan debt is a current hurdle in the way of adequate retirement saving. Apart from hindering the ability of young Americans to regularly set money aside for retirement, large student loan debt can also adversely affect their parent’s’ old-age financial security. 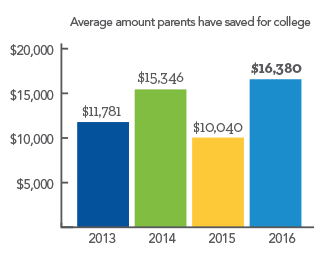 Indeed, many parents will try to save money for their children’s college education, something which could prove to be a great long-term investment. However, The College Board estimated that even a “moderate” budget for a private college averaged $49,320 during the 2016–2017 academic year. 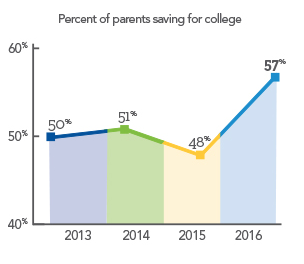 It is therefore likely to be very difficult for most parents to set aside anywhere near enough money to fully cover their kids’ education costs for the typical four years without reducing their retirement savings rate or tapping into their old-age assets early. What is worse is that if college graduates cannot find a job that pays well enough to meet their student loan obligations, parents will sometimes step in and help by covering the payments or even taking on some of the burden themselves, e.g. Direct PLUS loans. Such behavior became quite common during the “Great Recession” when recent graduates had to deal with a particularly challenging job market. In fact, a U.S. Government Accountability Office (GAO) study calculated that the total outstanding education loans held by Americans age 65 and older ballooned to $18.2 billion in 2013 (most recent data available), up significantly from $2.8 billion in 2005 before the recession hit. Further, 27 percent of student loans held by people age 65-74 were in default (at least 270 days past due) in 2013, and more than half of education loans held by people age 75 and older were in default. Another GAO study found that a growing number of seniors are seeing their Social Security checks being reduced to pay off delinquent student loan debt. Specifically, there were 114,000 older Americans in fiscal year 2015 who had their benefits reduced by about $140 a month due to unpaid student loans. The GAO report also found that a large share of those individuals who had their Social Security benefits reduced were either pushed below or pushed even further below the poverty line.